Antarctica is a location where statistical facts outweigh its population. It’s a continent ruled by snow and chilling ice that dictates everything around it. On an expedition ship the actual itinerary is based off weather, wildlife and the thirst for adventure. You will experience things that will touch you to the core unlike any other place you have ever traveled to. While enjoying Antarctica up close and personal you really should know what you’re looking at and these Antarctica facts will help you understand a place explored by so few. You will learn many amazing things onboard your expedition ship. That’s one of the magical sides of an expedition to Antarctica, its educational based. There are educational seminars presented every day by the staff that will also accompany you to shore. Antarctica is filled with many interesting facts from worms that populate the continent to what time zone it is in. 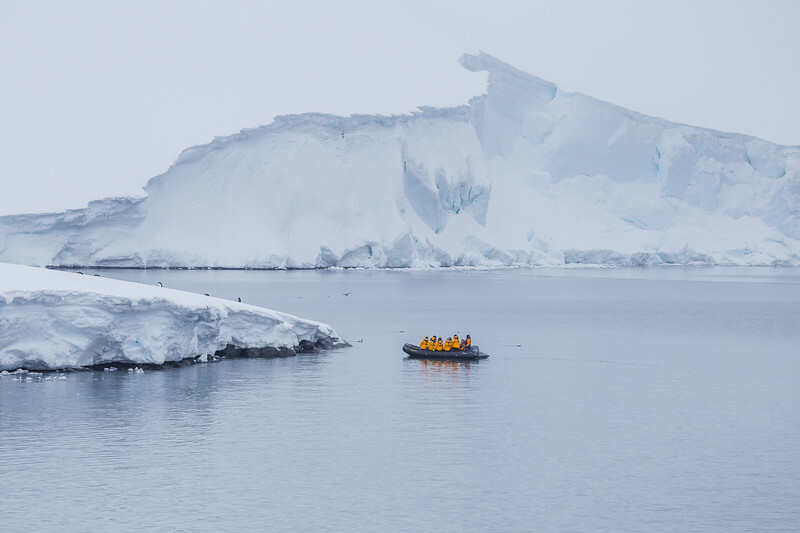 You could truly make an endless list of Antarctica facts but below are 121 of our favorite facts about Antarctica that we learned while sailing with Quark Expeditions to the 7th continent. Antarctica’s original name: The original name of Antarctica was Terra Australis. Myths and speculation about a land mass called Terra Australis (Unknown Southern Land) date back to antiquity. The Name Antarctica: The name Antarctica is derived from a Greek word Antarktike that means opposite to the north and was adopted as the Name of Antarctica in the 1890’s. Antarctica is huge: Antarctica is the fifth largest continent with 14,000,000 square kilometers (5,400,000 square miles.) To put that into size it’s roughly the size of the United States and Mexico combined. Antarctica is 1.4 times the size of the USA or Europe. It’s 1.7 times the size of Australia. Antarctica has a unique location: The content of Antarctica lies almost entirely within the Antarctic Circle, which is at about 66 degrees south latitude. It’s the South Pole: Antarctica is home to the geographic South Pole. 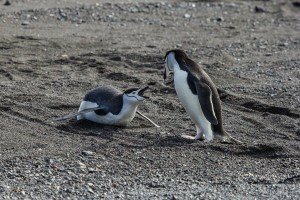 Antarctica does not have a time zone: This was a question I heard one hundred times while on our expedition to Antarctica and is an Antarctica fact you should know when visiting. What time zone is Antarctic in? Well, Antarctica does not have a time zone. Antarctica sits on every line of longitude due to the South Pole being situated near the middle of the continent, so Antarctica is located in all time zones. This makes it difficult to determine which time zone would be appropriate for the area. The scientist who live there go by either the time of their home land or the supply line that bring them supplies. Antarctica has no countries: There are no countries in Antarctica. The continent is governed by the Antarctic Treaty that was signed on Dec. 1, 1959 after more than a year of secret negotiations by 12 countries. It dedicates the continent to research activities. 48 nations have now signed the treaty and only time will tell if it holds up. Antarctica is uninhabited: There are no indigenous populations of people on Antarctica. Antarctica is considered 100% uninhabited by the human population even though there are military bases and research centers. Can I live on Antarctica? No, you cannot live on Antarctica. 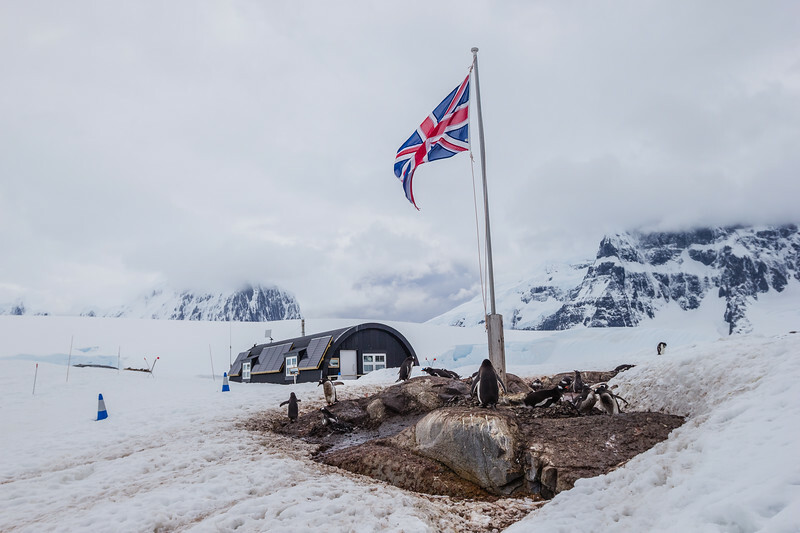 The people who travel to or spend some time in Antarctica fall into two main groups, those who live and work on scientific research stations or military bases, and visiting tourists. A person cannot just pack up their things and move to Antarctica. Antarctica has no economic activity: There is no economic activity in Antarctica to date, expect for fishing off the coast and small-scale tourism based outside Antarctica. Coldest record set on Earth: The coldest temperature ever measured by thermometer on Earth’s surface was made at Vostok Station. But the coldest temp ever recorded was -136 degrees Fahrenheit (-93.2 Celsius), measured in pockets scattered near high ice range between Dome Argus and Dome Fuji on the East Antarctic peninsula. What keeps Antarctica cold: There is a well-known current called the Circumpolar Current that circles clockwise around Antarctica, from East to West. It is the largest wind driven current on earth and acts like a cooler to keep in the cold. This also makes for some of the roughest seas in the world. First tourist ship: The first commercial tourist ship to sail to Antarctica was the SS Fleurus mail ship. It carried a small number of commercial passengers and marketed round-trip tourist tickets to Antarctica. Could you imagine traveling to Antarctica on a mail ship? 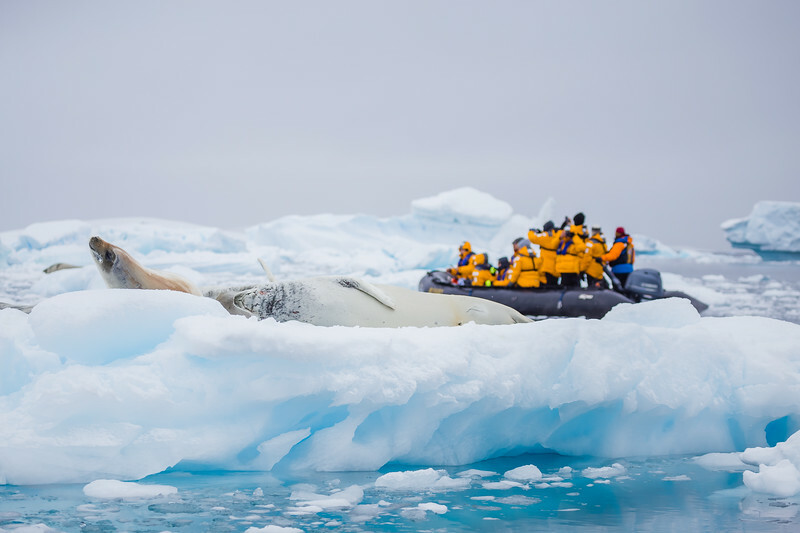 The best cruise company to explore Antarctica with: Quark Expeditions is the polar expert, they are the best company to explore Antarctica with. 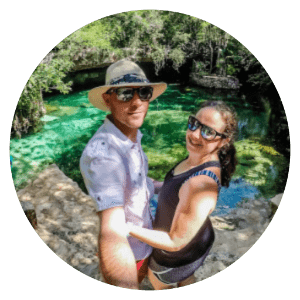 Their experienced and knowledgeable staff will make sure you have the trip of a lifetime. First tourist flights (Sightseeing flights to Antarctica): Sightseeing flights by airliners from Australia and New Zealand started in the 1970’s to Antarctica and continue to run to date. Commercial flights do not fly over Antarctica: No scheduled commercial flights fly over Antarctica since there are no great direct routes to other destinations. Flights from New Zealand to South Africa would fly over Antarctica but no commercial airlines currently flies that route. The largest cruise: The largest cruise vessel that has visited Antarctica carried over 950 people. This cruise offered no landings and no longer operates due to new regulations. How large is an Expedition Cruise to Antarctica? 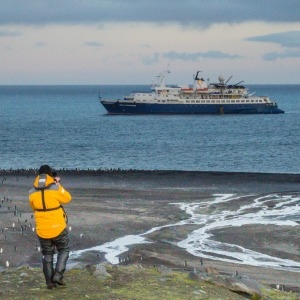 Expedition cruises to Antarctica normally have around 100 people on board. There are some larger cruise ships that have over 500 people but people are not allowed to land. How many people can be on land at one time? The amount of people on land in Antarctica depends on the location. Every location is different due to wildlife and conditions. Normal restrictions are 100 people on land at one time. 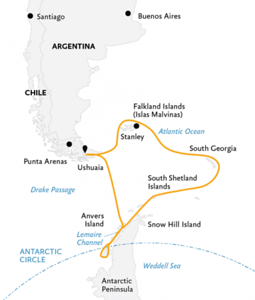 Yachting Antarctica: People have been running private yacht voyages since the late 1960’s to Antarctica. 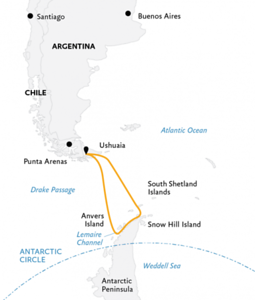 Now days there are around 30 yachts a year that visit the Antarctic Peninsula. How much does it cost to cruise to Antarctica? It varies on the length of the trip. The average price that you will pay is $3,500 USD for a 5-8-day trip to Antarctica. You can get better deals if you are flexible and share a triple cabin that can range from $2,000 to $3,000 USD depending on your trip. There are also always great last-minute deals where you can get a spot for about 25% of the normal price but there is no guarantee there are openings. How expensive is it to go to Antarctica? How much does a trip to Antarctica cost? A full trip to Antarctica usually costs between $9,000 USD to $15,000 USD per person depending on the length of the trip. While this may seem very expensive but its comparable to a trip to Europe, New Zealand or even Australia. 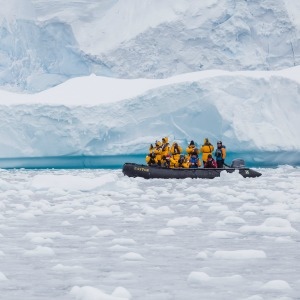 An expedition to Antarctica is a world’s top 100 travel adventure: Exploring Antarctica by expedition ship is a world’s top 100 travel adventure. 1% of all people in the world will ever visit Antarctica. That makes it the least visited continent in the world. Winter is dark: Most of Antarctica is completely dark during the region’s winter months. Because of the Earth’s tilt, during the austral winter, the sun disappears below the horizon for the duration of winter, from the autumnal to the vernal equinox. Summer is bright: During the summer months when the sun is always above the horizon, more sunlight reaches the surface at the South Pole than over a similar period of time at the equator. 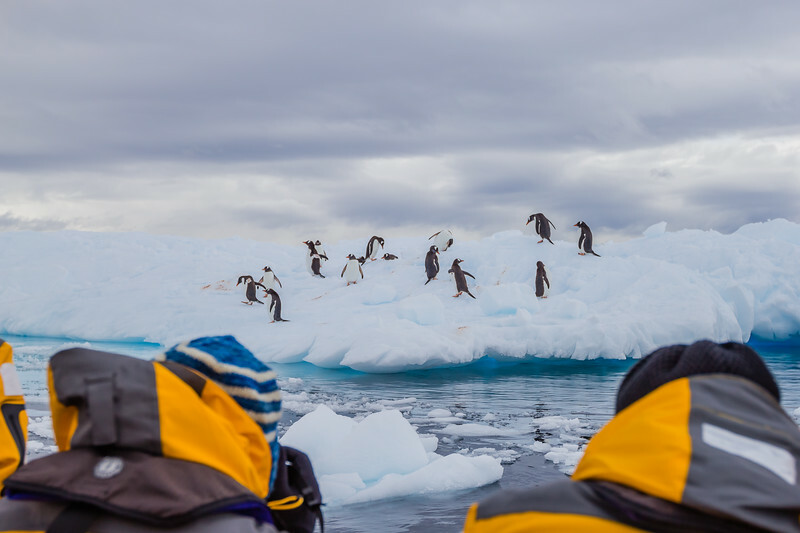 Summertime is tourist season: Tourists visit Antarctica in the summer months ranging from October to March depending on weather and ice conditions. What is the best month to visit Antarctica? The best month to visit Antarctica is based around what you would like to see. In January temperatures in Antarctica average around 34 Fahrenheit. Penguins begin to hatch and wildlife, especially cute penguin chicks are everywhere at this time of the year. Mid-February and March are the best time to spot whales. How do you get to Antarctica? There are six ways you can get to Antarctica. One of the most popular ways is the way that we did, with Quark Expeditions by taking an expedition ship that leaves from Ushuaia, Argentina. Flying by charter plane from Punta Arenas, Chile is another popular option for those who do not want to take on the rough seas. Sailing from New Zealand is possible and is a little more of an adventure since there is only about 4 voyages a year. 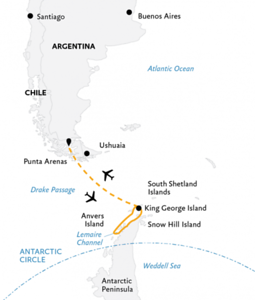 You can fly into Antarctica’s interior from Punta Arenas, Chile or fly right to the South Pole by Punta Arenas, Chile or Cape Town, South Africa. 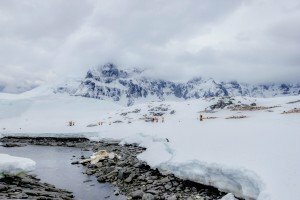 Is Antarctica dangerous to visit? While traveling there is an assumed risk, especially traveling by boat to somewhere remote like Antarctica is not especially dangerous. 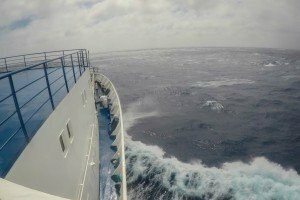 If you are sailing from South America, the most dangerous part is the open ocean between the Cape Horn and the Antarctic Peninsula known as the Drake Passage. But once you reach Antarctica your guides on the ground will keep you safe, so you can enjoy the moment. Landing in Antarctica: Everyone is required by the Antarctic treaty to have a permit to visit (land on) Antarctica. Drones are not permitted: Sorry don’t bring your drone. Drone are not permitted to fly in Antarctica since it is a protected wildlife area. Yes, you can get permits but those permits are for researchers only and it can be a hard process. Any tourist visiting will only be visiting protected areas where flying drones are not permitted. Do you need travel insurance for Antarctica? Yes, you should have travel insurance when visiting Antarctica. Things can happen, so why not protect your trip of a lifetime? The most common thing that happens is delays due to weather. Who discovered Antarctica? In 1773, James Cook became the first person to circumnavigate the continent of Antarctica. Although he did not see land, he did see deposits of rocks in icebergs, which proved to Caption Cook that the southern continent existed. The existence of Antarctica was completely unknown until the continent was first spotted in 1820. 20 years later it was confirmed to be a large ice covered continent and not just a group of Islands. First to survive an Antarctic winter: In 1898, Adrien de Gerlache and the crew of the Belgica became trapped in pack ice off the Antarctic Peninsula in March. The crew had to go through extreme hardship through the Antarctic winter until their ship finally drifted free. Many countries have tried to claim Antarctica: Here is the long list of countries who have tried to claim Antarctica; France 1840, Adelie Land 1840, United Kingdom 1908, Falkland Islands Dependencies 1908, British Antarctic Territory 1962, New Zealand 1923, Ross Dependency 1923, Australia 1933, Australian Antarctic Territory 1933, Norway 1939, Queen Maud Land 1939, Germany 1939, New Swabia 1939, Chile 1940, Chilean Antarctic Territory 1940 and Argentina 1943. First Person to reach the South Pole (Antarctica): Norwegian Roald Amundsen and his team of four were the first to reach the South Pole on December 14, 1911. Amundsen discovered a new route which took only 57 days. He arrived five weeks ahead of a British party lead by Robert Falcon Scott as part of the Terra Nova Expedition. This is an Antarctica fact everyone should know. The first to overland South Pole by Motor: Sir Edmund Hillary’s New Zealand team became the first to reach the South Pole overland in motor vehicles on January 3, 1953 powered by Ferguson tractors. First to ski across Antarctica: Felicity Aston is the first person to ski across Antarctica powered by only human muscle. She traveled 1,948 miles (1,744 kilometers) in 59 days between late 2011 and early 2012. First to fly across Antarctica: The first flight across Antarctica was completed by Josephine Ford of Norway, with Byrd as navigator and Floyd Bennet as pilot on May 9, 1926. 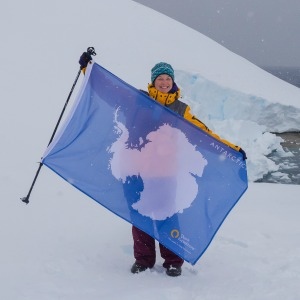 First Woman on Antarctica: Caroline Mikkelsen from Norway was the first woman to set foot on Antarctica in 1935. First Woman to Overwinter Antarctica: Ronne and Jennie Darlington were the first women to spend a winter in Antarctica. First Woman to reach the South Pole: The first group of women to reach the South Pole was Pam Young, Jean Pearson, Lois Jones, Eileen McSavenery, Kay Lindsay and Terry Tickhill. A child was born on Antarctica: In January 1979, Emilio Palma became the first documented person to be born on Antarctica in Hope Bay, near the tip of the Antarctic Peninsula. Since then, only ten other people have been born on the continent. Antarctica is the highest, driest, coldest, windiest and brightest of the seven continents. Antarctica is seriously dry: The dry valleys of Antarctica make up the driest place on Earth. It is so dry there is extremely low humidity and almost no snow or ice cover. That is an Antarctica fact not everyone knows, everyone thinks of Antarctica to be wet and snow-covered. There’s a lot of wind in Antarctica: Antarctica is the windiest continent on earth. The katabatic winds blow off Antarctica’s high interior toward the ocean and can reach speeds that qualify as hurricane-strength winds reaching up to 200 mph (320 km/h). There’s a whole lot of ice: The Antarctic Ice Sheet is the largest single mass of ice on Earth. It extends almost 14 million square kilometers (5.4 million square miles) and contains 30 million cubic kilometers (7.2 million cubic miles) of ice. Antarctica is an icy landmass: 98 percent of Antarctica is covered by ice. 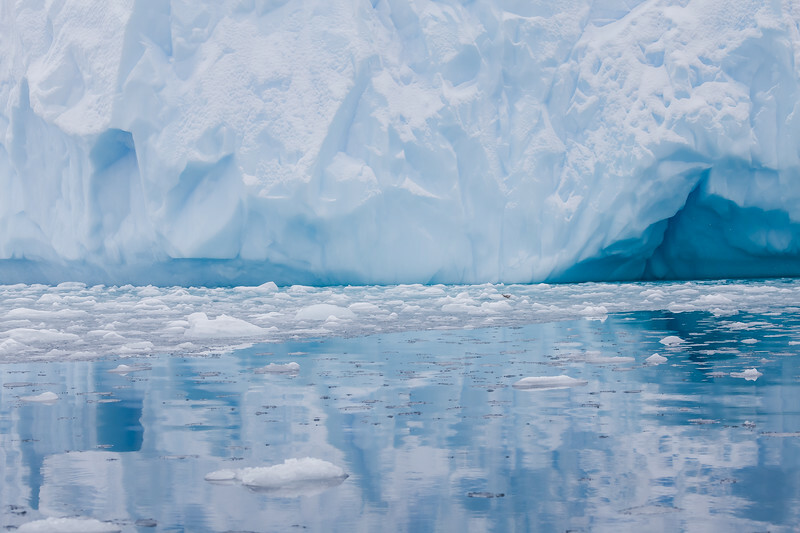 Antarctica’s Ice is thick: The average thickness of Antarctic ice is about 1 mile (1.6 kilometers). Antarctica has a lot of fresh water: Antarctica is home to around 70 percent of the planet’s fresh water and 90 percent of the planet’s freshwater ice. If Antarctica melted: the whole world would not be underwater. But the coastlines would be very different. Let’s say all of the ice covering Antarctica, Greenland and all of the other mountain glaciers around the world were to melt, the sea level would rise about 70 meters (230 feet). Antarctica is experiencing unprecedented warming: just in the Antarctic Peninsula the temperature has increased 2.5 degrees since 1950. That is about five times the rate of warming measured for the rest of the world. That may seem like a small amount of change but in the scheme of things, that is a huge change that affects what can grow and live there. Antarctica ice is melting: Over the past five years, the rate of ice loss from Antarctica is three times what it was 25 years ago. 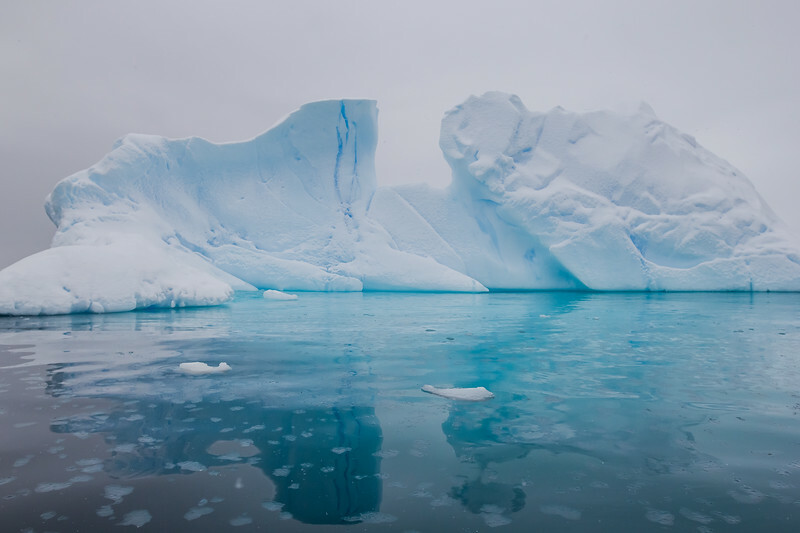 The Antarctic ice sheet has lost about 3 trillion tons of ice, that’s about 0.01 percent. Even that small change has been enough to raise global sea levels by a measurable amount and it continues to accelerate. If you are going to share one Antarctica fact, please share this one. The Pole has changed: Earth’s gravitational pull is shifting because of climate change. As a result, the South Pole has changed. 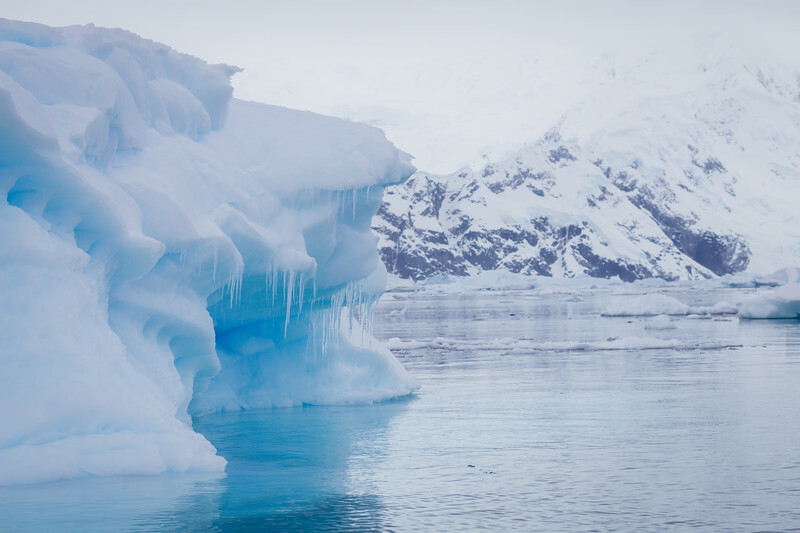 Glaciers are retreating: 87 percent of the Antarctic Peninsula’s glaciers are in retreat. Pine Island Glacier is speeding up: Going, going gone! The Pine Island Glacier is speeding up for the past few decades and it contributes to 25 percent of Antarctica’s ice loss. Icebergs are breaking away everyday: The largest iceberg ever measured broke away from the Ross Ice Shelf. The iceberg named B-15 was 170 miles (270 kilometers) long and 25 miles (40 km) wide. For those who live in the USA that is about the size of Connecticut! Antarctica’s Ice Sheet Thickness: The average ice sheet thickness in Antarctica is 1 mile (1.6 km) thick. 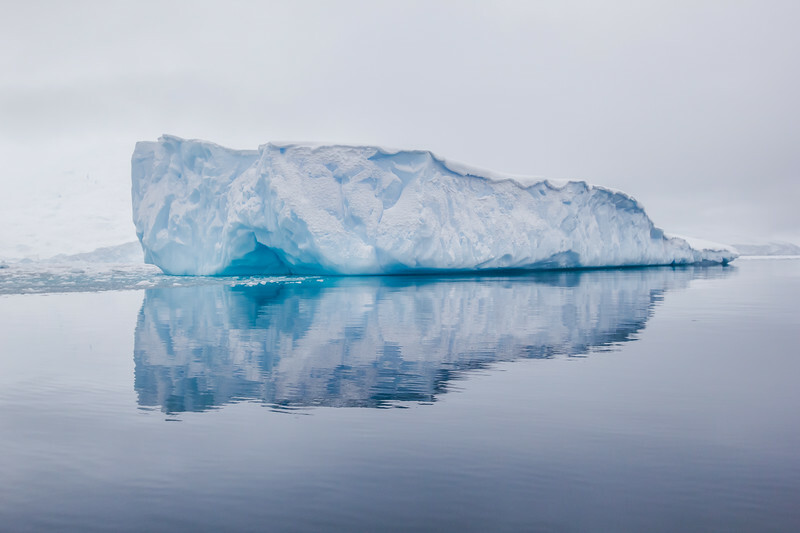 Ice shelves have categories: Ice shelves fall into three categories: (1) Ice shelves fed by glaciers, (2) Ice shelves created by sea ice and local snowfall, and (3) composite ice shelves. Antarctica’s largest ice shelf: The Ross Ice Shelf, which measures around 197,000 square miles (510,680 square kilometers) and is several hundred meters thick. That is as large as Texas or France. The Ross Ice Shelf is the largest body of floating ice. Largest disintegration of Ice in Antarctica: In 2002, satellites recorded the largest disintegration of ice in Antarctica. The Larsen Ice Shelf breakup is the largest single disintegration event that has happened in the 30 years of ice shelf monitoring. Between January 31 and March 5, 2002 approximately 4,200 square kilometers of the Larsen B shattered, releasing 720 billion tons of ice into the Weddell Sea. Largest Iceberg: The largest recorded iceberg in Antarctica was the B–15 iceberg that was larger than the whole island of Jamaica. Antarctica without ice: Antarctica would be the lowest lying continent if it was not covered in ice. The greatest known depression of bedrock on Antarctica is known as the Byrd Subglacial Basin that lies 2538 meters below sea level. Antarctica has a great divide: Antarctica’s Transantarctic Mountains divide the continent into East and West sections. Stretching 2,175 miles (3,500 kilometers) long, the Transantarctic range on Antarctica is one of the longest mountain ranges on Earth. Antarctica’s 7th Summit: Mount Vinson Massif is Antarctica’s highest mountain with the elevation of 16,066 feet (4,897 meters). It is located on the southern part of the main ride of the Sentinel Range of the Ellsworth Mountains. Mount Vinson Massif is one of the 7 summits and people come from all around the world to climb it. Antarctica has an active volcano: Antarctica is home to Mount Erebus, the second-highest volcano in Antarctica, and the southernmost active volcano on the planet. Located in the Ross Dependency on Ross Island, it is the sixth highest mountain on the continent with an elevation of 3,794 meters (12,448 ft). The summit contains a lava lake, that’s one of five long-lasting lava lakes on Earth. There are huge buried mountains: Antarctica has some tall mountains, however they are buried under a ton of ice. Antarctica’s Gamburtsev Mountains are a range of steep peaks that rise 9,000 feet (3,000 meters) and stretch 750 miles (1,200 kilometers) across the interior of Antarctica. They are completely buried under up to 15,750 feet (4,800 meters) of ice. Antarctica has a giant rift: Antarctica has a large rift that could rival the Grand Canyon. It is approximately 6 miles (10 kilometers) long and is possibly a lot longer if it extends into the sea. It extends nearly a mile down (1.5 km) at its deepest spot. Antarctica has lakes: Antarctica has more than 400 lakes scattered around the continent under the ice. Antarctica’s largest lake: Hidden under a large layer of ice is Lake Vostok, that is about the size of Lake Ontario. It is a pristine freshwater lake buried beneath 2.5 miles (3.7 kilometers) of solid Ice. Antarctica’s lake that never freezes: East Antarctica has a lake that is so salty that it never completely freezes. The lake’s levels of salt are 10 times higher than the ocean which makes the waters one of the least productive ecosystems in the world. With high salt levels, that means even with a water temperature as low as -4 F, it will remain unfrozen. Antarctica has a waterfall that flows blood red: This five-story waterfall gushes out of the Taylor Glacier in Antarctica’s Mcurdo Dry Valleys. The blood red color comes from the irons. The Largest Desert on Earth: The Antarctic Polar Desert is about 5.5 million square miles and has not received rain or snow in 2 million years. Antarctica has huge sand dunes: Antarctica’s largest sand dune is 230 feet (70 meters) high and more than 650 feet (200 meters) wide and is located in the McMurdo Dry Valleys. Least diverse habitats on Earth: The soils in most of the extreme-cold deserts of Antarctica are the least diverse habitats on Earth. Antarctica is a barren land: There are no trees or shrubs on Antarctica. There are only two species of flowering plants (Antarctic hair grass and Antarctic pearl wart) that are found on some of Antarctica’s surrounding islands and on the Antarctic Peninsula. Uninvited Guests: As of 1994, no non-native species are allowed to be taken to Antarctica. With an increase of human activity on Antarctica comes non-native species of plants, that hitch rides on boots or clothing of visitors. Mostly non-native meadow grasses and sunflower species have been found on the Antarctic peninsula and its islands. 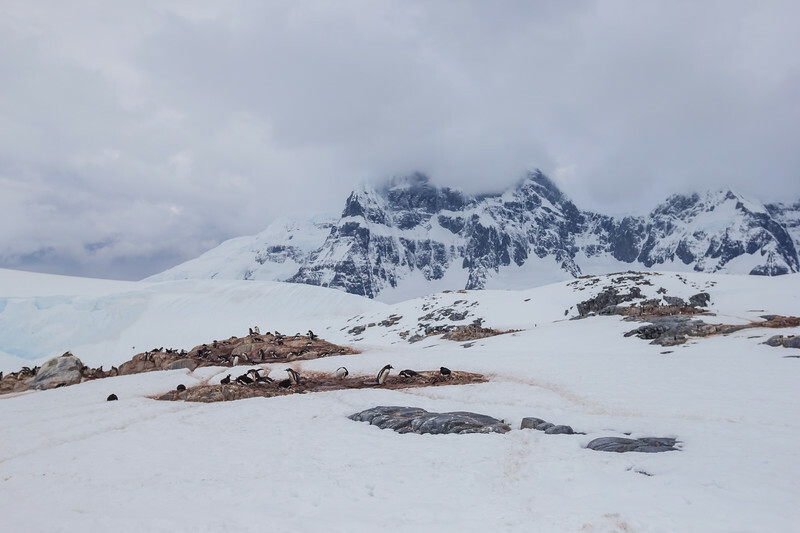 Antarctica was covered in forest once: In 2016 a group of American scientists in the Transantarctic mountains discovered remains of an ancient forest. Tests showed trees that were 280 million years old and they are the oldest remains ever found on Antarctic today. Antarctica had palm trees: It is true, Antarctica was once covered in palm trees. 4.5 million years ago Antarctica was a tropical continent where palm forests covered the land. Antarctica is rich in minerals: Around only 1 percent of Antarctica’s ice-free areas have been surveyed for minerals. It is believed that Antarctica contains rich mineral deposits like petroleum and natural gas that exist in the continental shelf regions. The signatory nations of the Antarctic treaty agreed to a 50-year moratorium on commercial mining activity, we will see where that goes once the years pass. The summer Phytoplankton bloom in Antarctica puts off more H-2o into the air than all of the forests in the world combined. The Phytoplankton bloom occurs around the month of December each year in Antarctica. This is when the sunlight provides the perfect conditions for Phytoplankton to multiply in vast quantities. Phytoplankton is everything in Antarctica: Phytoplankton consist mostly of algae, bacteria and are the foundation of the marine food chain. Phytoplankton, krill, and other small organisms feed the fish, then feed the penguins, then feed the seals and so on. Adelie Penguins and Polynys: In Antarctica, Adelie penguins depend on polynys, where phytoplankton are abundant, throughout their lives. 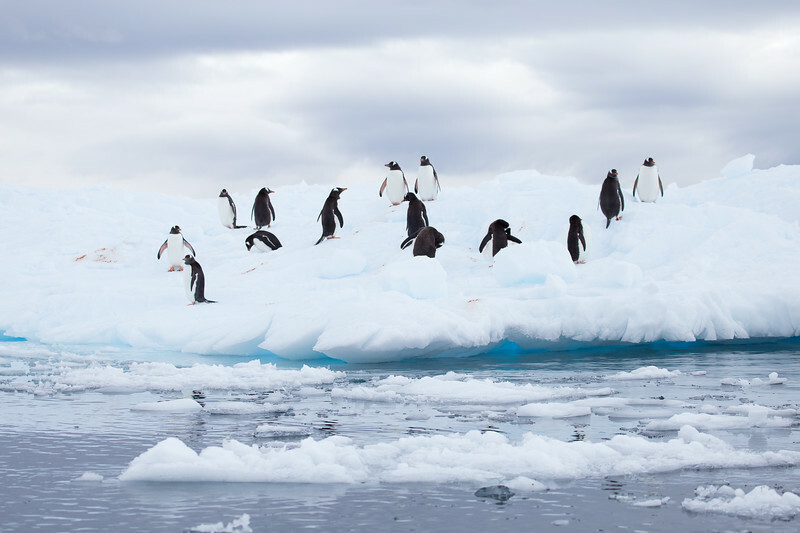 In eastern Antarctica, more then 90 percent of all Adelie penguins colonies live next to coastal polynyas. The South Pole only experiences one sunrise in September and one sunset in March. So, for six months the sun disappears completely. Just imagine seeing the sun go down and wondering when the sun will not be up for another six months. The Antarctic Peninsula has mostly cloudy days: Around the coast line there is more moisture available and low-pressure systems have a greater influence, so cloudy conditions are more common there. The interior of Antarctica has little to no clouds: Air over the interior of Antarctica is usually subsiding and dry, resulting in little cloud cover. There is a hole in the Ozone: There is a massive hole in the ozone that covers most of Antarctica. The severe depletion of the ozone layer occurs because of the special atmospheric and chemical conditions that exist there and nowhere else on the globe. The best place in the world to view space: Antarctica is the best place on Earth to look into space. One of the best spots on Antarctica to view stars and space is named Ridge that sits near the high point of the vast polar desert. Aurora Australis is not that great: You would think Antarctica would be a great place to view the Aurora Australis but that is not the case. It is one of the most challenging places in the world since it is not always dark, the weather is not always on your side and the activity is low. Antarctica is where you to go find Meteorites: 90% of all the meteorites in the world are found in Antarctica. Since 1970, there has been more than 10,000 meteorites discover in Antarctica and some have been up to 700,000 years old. Meteorites that crash in Antarctica are easier to be found against the ice and they are also better preserved, due to the snow and ice, protecting them from corrosion. It is a researcher galore: Antarctica is a researchers paradise, nearly 30 countries operate more than 80 research stations around Antarctica. Antarctica is occupied all year round: A few of the research centers are equipped and operate all year round. In wintertime, Antarctica’s population is around 1,200 people who are spending the winter season there for different reasons. In the summertime, Antarctica’s population jumps up to around 4,000 people. How healthy are you? If you want to spend a winter in Antarctica, you must go through many medical studies and be in good, healthy shape. 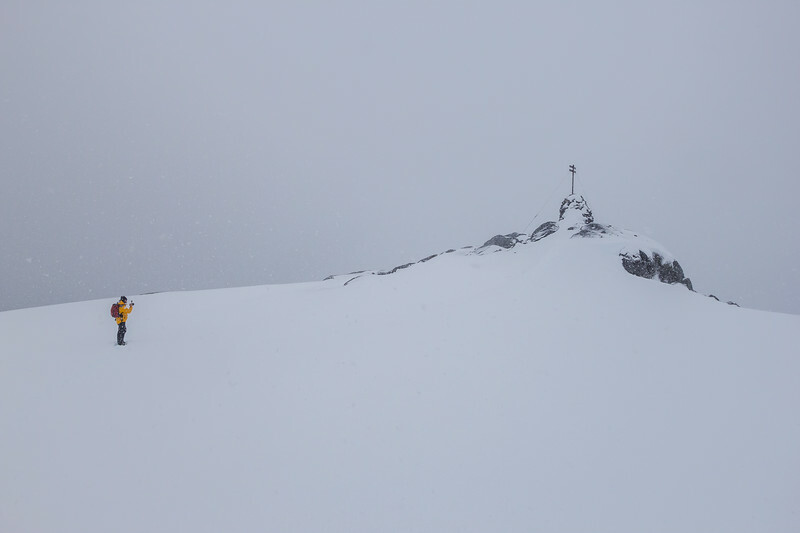 How long do researchers stay isolated in wintertime in Antarctica? If you are spending the winter in Antarctica be prepared for around 8.5 months of isolation. Many researchers use this time to set goals like learning a new language or they give classes to others once a week. Some classes include, photography and welding. When does the first plane arrive to Antarctica? The first plane arrives from New Zealand at the end of October, early November, depending on the weather. It is normally carrying supplies like fresh vegetables and other must have items. Can they grow things in Antarctica? They grow hydroponic foods in Antarctica year around. The best items they have been able to grow are cucumbers and lettuce. Who over winters in Antarctica? You may think only researchers over winter in Antarctica but that is not the case. There is a huge mix of talents that keep these remote locations functioning including cooks, cleaners and maintenance workers. There are also military bases that staff year round. Can you call from Antarctica? They cannot just pick up the satellite phone and call someone. The South Pole has only three satellites that can be reached at different times of the day. One is NASA’s TDS, where researchers can only use it for around 4 hours per day in a 24 hour period. Someone over wintering in Antarctica would only get 10 to 12 minutes of internet access per day. All important data for the day is transmitted before personal use. The biggest danger research stations face: It is not the snow and ice, but fire. Due to the excessively dry conditions, fires are easy to ignite and difficult to contain. Antarctica has a post office: Yes, you can send a post card from Antarctica. Port Lockroy operates a post office for expedition ship passengers, where you can buy and send post cards from the end of the world. 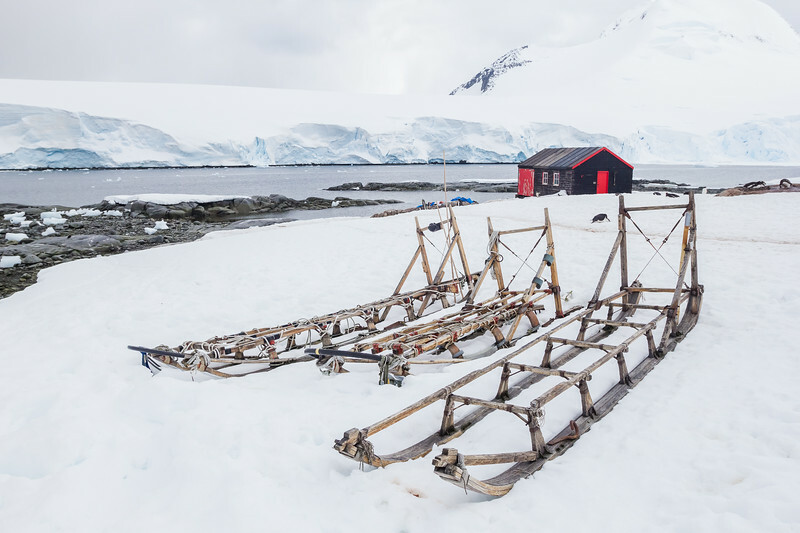 Quark Expeditions also provides supplies to remote locations like Port Lockroy. What currency does Antarctica use – The Antarctic Dollar? There is no Antarctic currency. If you visit Port Lockroy in the Antarctic Peninsula they accept USD, Pounds or Euros. They also accept credit card and all transactions will be charged in USD. Antarctica has 2 ATMS: They have been called the world’s loneliest ATM’s located at McMurdo Station and are operated by Wells Fargo. The ATM’s only dispense USD and staffers can exchange money at the Scott base which is about two miles away. Antarctica’s civilization towns: Antarctica has two places that are regarded as civilization towns. The Chilean Villa Las Esterllas base that has over 100 residents in the summer and around 80 in the winter thats located on King George Island off the western tip of Antarctica. This is one of the popular sites were tourists can fly in to get on their expedition ship. The second is the Argentinian Esperanza base that has around 55 winter residents in Hope Bay. Antarctica has churches: There are seven Christian churches in Antarctica. Southern most bar: The Vernadsky research station holds the title for the most southern bar in the world, located on Antarctica. First concert on Antarctica: The first concert on Antarctica was held on December 8, 2013. by Metallica. They were the first band to play on all 7 continents in one year. Antarctica Marathon: Every year, athletes come from all around the world to compete in the 100km Antarctic Ice Marathon. No Polar Bears: Polar bears only live in the Arctic. Sorry, there are no polar bears located in the South Pole (Antarctica). If there were polar bears, the penguins would not survive. Penguins are only found South: It’s true. Penguins can only be found in the Southern Hemisphere. They are found populating the South Pole and are not found in the North Pole or Arctic. Penguins populate the continent: Penguins are everywhere, they are the most common bird in Antarctica and live in colonies with populations that would rival many popular cities in the world. Penguins thrive on the continent since there are no major predators. Only continent without reptiles: Antarctica is the only continent without reptiles. Reptiles inhabit every continent on Earth but Antarctica. No Ants: Antarctica and some remote islands in the Arctic are the only places in the world not colonized by Ants. Antarctic Fish: There are fish that can live under Antarctica beneath 740 meters of ice. In a 10 meter deep section of water lives the translucent fish. Where most fish would become fish sticks, this fish thrives. Scientists are still unsure on how they manage to sustain themselves. Why don’t fish freeze in Antarctica: Quite a few sea creatures that live in Antarctica have a natural antifreeze in their bodies that prevent them from freezing. This works perfectly with the water temps. 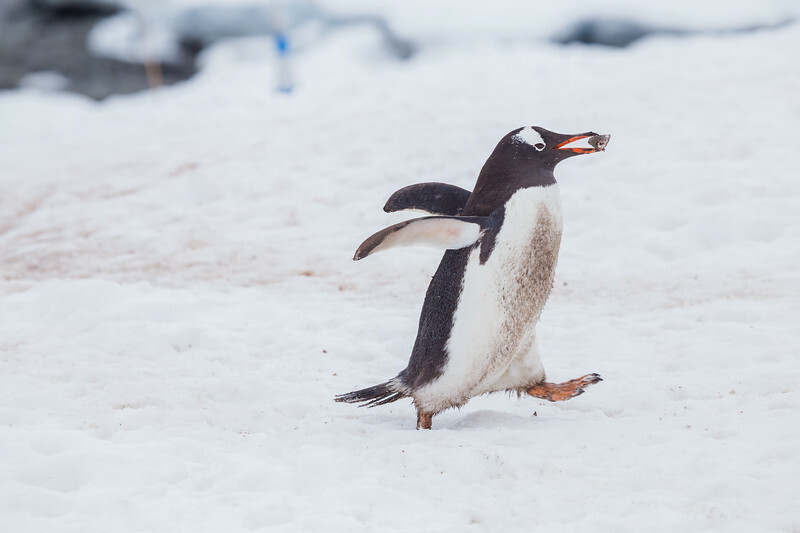 Antarctica’s most abundant land animal: Sorry, penguins are not the most abundant land animal. The Nematode Worm is Antarctica’s most abundant land animal. 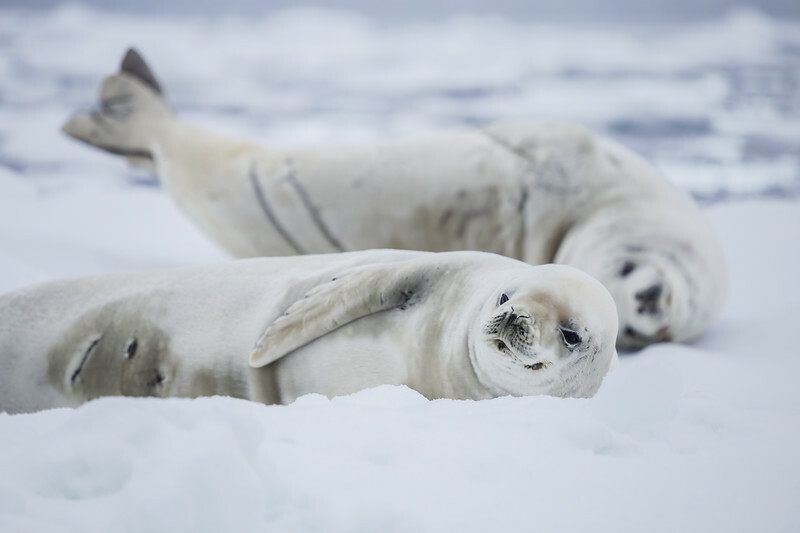 Dogs are not allowed: Since 1994 dogs have been banned from Antarctica due to fear that they might transmit canine distemper to the Antarctic seals or would escape and disturb the local wildlife. So there you have it, 121 Epic Antarctica Facts! We hope you learned something new and above all, piqued your interest in perhaps making a trip to the 7th continent yourself. Interested in going to Antarctica? 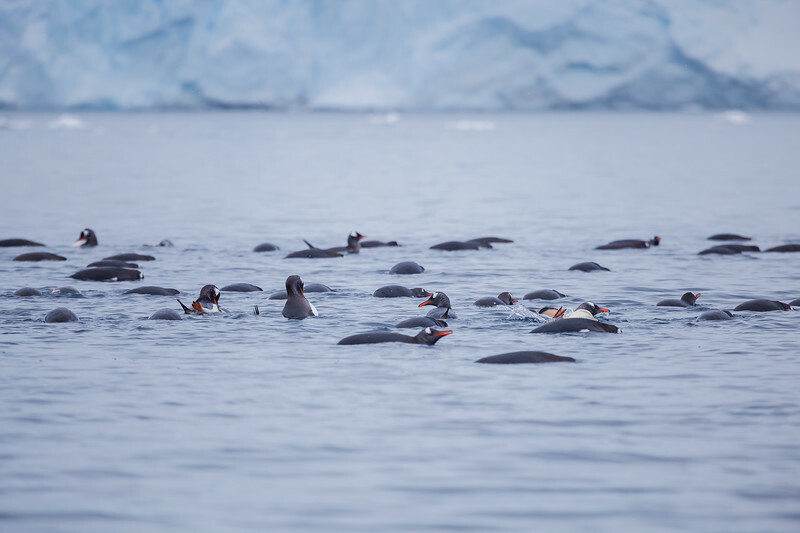 We spent 10 days on an expedition ship exploring the Antarctic Peninsula with Quark Expeditions. Can You Go to Antarctica? Why on Earth Would You Want To! Our trip to Antarctica was in partnership with Quark Expeditions, however all opinions are 100% mine, as always.